Before dental implant surgery, bone grafting is sometimes necessary to supplement the bone mass of a patient’s jaw so that the implants can be anchored firmly. Serving patients in Queens, NY, and throughout the state, Dr. Clifford Degel and Dr. Carmen Every-Degel of Astoria Dental Group are committed to the doing everything necessary to ensure the success of every dental implant procedure. That means bone grafting will be performed, if required, to ensure that your dental implants provide you a lifetime of beautiful smiles. 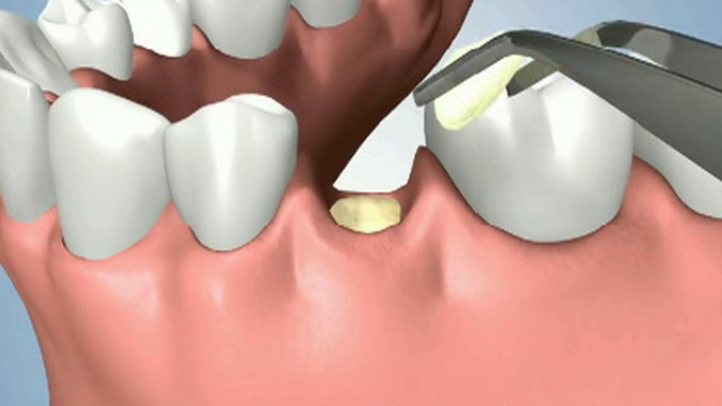 Bone grafting helps to preserve bone tissue after a tooth has been extracted. It also allows for quicker healing. Loss of bone volume can be caused by a variety of factors, including infection, trauma, and periodontal (gum) disease. If a patient lost a tooth long ago and is just now looking into dental implant surgery, it’s likely that the bone around the lost tooth has degenerated to some degree and needs to be augmented before it can support an implant. A sinus lift is commonly necessary for implants that are to be placed in the upper back corners of the jaw. Our dentists perform bone grafting regularly at our practice, helping more people than ever benefit from the beauty and durability of dental implants. A patient’s need for bone grafting may become apparent at the time of their pre-surgery X-ray. Sometimes, inadequate bone volume is not discovered until the dentist actually begins dental implant surgery. In this case, the dental implant procedure will be halted and bone grafting will take place at our practice after the patient has agreed to the procedure. In an autogenous bone grafting procedure, bone is harvested from one area of the body and transferred to another. In an allograft procedure, either synthetic bone or cadaver bone is used to augment the jaw bone. In a xenograft procedure, cow bone is used. Autogenous bone grafting is the preferred method, as it yields the most predictable results. Bone harvested from the patient’s body — as opposed to synthetic, cadaver, or cow bone — is alive and has live cellular elements that enhance bone growth. When performing a bone grafting procedure to augment the jaw for dental implants, the dentist usually takes bone from the chin or back part of the lower jaw and transplants it to the area that will eventually provide the platform for the implants. It takes several months for the grafted material to fuse with your existing bone. Therefore, dentists typically wait six to 12 months to place dental implants after the bone grafting procedure. After your dental bone grafting procedure, our dentists will monitor your healing and keep you updated on when the dental implants can likely be placed. Because dental implants provide strong, comfortable, and long-lasting tooth replacement, bone grafting is a rewarding and worthwhile procedure. Our dentists perform bone grafting regularly at our practice, helping more people than ever benefit from the beauty and durability of dental implants. Utilizing advanced diagnostic technology and surgical experience, our dentists can help you attain the beautiful smile you deserve. To get started, send us an online message or call our office at (718) 278-1123.